The Call of Duty: Black Ops 2 soundtrack, a joint effort of Trent Reznor and Jack Wall, will be available for download on iTunes this upcoming Tuesday, right alongside the launch of Treyarch's game. If you want a sample, you can listen to the main menu theme song right now on YouTube. If you're picking up the Hardened Edition or Care Package Collector's Edition, the soundtrack is included, so don't sweat the iTunes soundtrack. 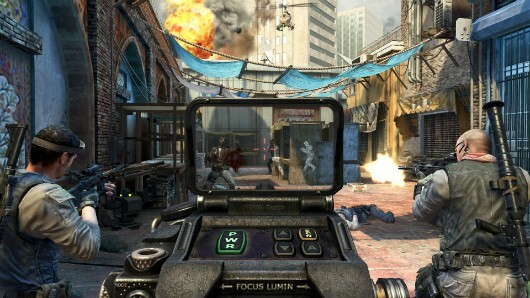 Black Ops 2 soundtrack hitting iTunes alongside game launch originally appeared on Joystiq on Wed, 31 Oct 2012 18:30:00 EST. Please see our terms for use of feeds. Square Enix has revised its financial forecast (PDF) for both the six month period ending September 30 and its fiscal year ending March 31, 2013. Expected sales for the six month period have been reduced from ¥76 billion ($952 million) to ¥61 billion ($763 million). Projected net income for the period has been reduced from breaking even to a ¥5.2 billion loss ($65 million). The fiscal year forecast, meanwhile, has dropped from ¥165 billion ($2 billion) to ¥150 billion ($1.8 billion), with expected net income dropping from ¥9 billion ($112 million) to ¥3.5 billion ($43 million). The reasons behind the revision in the six month period, according to Square Enix, were "sluggish sales" of new arcade machines and that "sales of a major HD game title have been growing at a slower pace than expected." 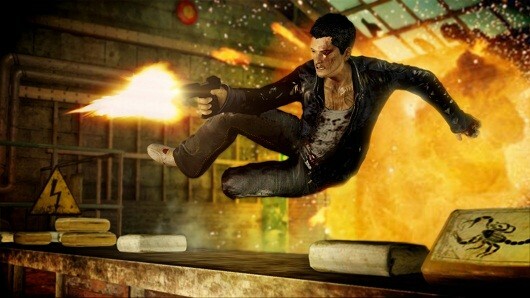 Presumably, the game in question is Sleeping Dogs, which was released this past August to generally favorable reviews. The notice also cites the "delays of a social game service launch." Fiscal year revisions were made in light of the aforementioned issues and "uncertainties of the business environment." Square Enix's next major release is Hitman: Absolution. Agent 47 returns on November 20. Square Enix lowers financial forecast in wake of slow sales originally appeared on Joystiq on Wed, 31 Oct 2012 13:30:00 EST. Please see our terms for use of feeds. It looks like Konami are set to release several different Metal Gear Rising: Revengeance Special Editions. First up is the 'Limited Edition', which comes in a striking box and includes a Raiden figurine. Then there are two Steelbook Editions to choose from: the 'Render Steelbook Edition' and the 'Shinkawa Edition', which feature unique artwork. Check them out in the shots below. Metal Gear: Revengeance is due to launch next February. Check out our hands-on preview here. It must be hard being a Sony handheld. The PSP, whilst doing well when viewed separately from the DS and GBA, never really got that strong of a foothold outside of Japan. This was due to a number of issues on Sony's end, including a high price-point, a confusing advertising campaign and a long gap between must-have titles, to name a few. Coming into a new console generation, one would believe (and hope) that Sony had learnt from their mistakes, and that the Vita could flourish. Unfortunately, if early signs are anything to go by, this isn't the case. Sadly, the issue runs much deeper than it may seem. The Wii, whose successor is just around the corner and has next to no advertisement and no real exclusives at all coming out for it, is still managing to outsell the Vita, reliably, week after week. And then you remember that the current 3DS-Vita gap is 18 million. Assuming that the Vita can outsell the 3DS starting from today (which won't happen, because it's selling more than 130k less, and the gap is increasing), the Vita will have to outsell the 3DS nearly 50k every week on average to simply match it within 6 years. It’s barely managing to sell 40k each week in total, so it's fairly safe to assume that the 3DS has 'won' this generation before it's really begun. So, the question is, to what extent can the Vita make up some of this lost ground? The most important would have to be securing the latest in the ridiculously-big-in-Japan Monster Hunter title, Monster Hunter 4. This game alone should keep the 3DS afloat for a good 12 months in Japan, and if the Vita could get an exclusive game in the series, even a spin-off or port, then it could revitalize sales in Japan. However, after TGS, and with the recent reveal of a Monster Hunter game being made for the Wii U, it’s looking less and less likely that the Vita will get a game of this popularity in Japan for a good while yet. A new game in the Final Fantasy or Dragon Quest series, or something similar, could also help boost sales. But this suffers from the same problem that will plague the Vita after its poor start: 3rd party insecurity. If the system isn’t selling, then it isn’t going to be selling many copies of games either. Developers are unlikely to produce an exclusive game for it due to the higher chance of not getting that money back. And so they’ll either produce a multiplatform game or just skip the console altogether. This means fewer people buy the system… which leads to a vicious cycle of poor sales and poor support which, without a big move from Sony, is unlikely to be broken. In the west, a Gran Turismo or quality Call of Duty game could help to sustain sales, amongst other things. An exclusive Assassin’s Creed game has just released, and a version of the new CoD game will also be greeting the Vita shortly. But although these will help towards bolstering the position of the Vita, it’s unlikely to stop the rot the system has been going through lately, or persuade the more casual consumer to pay £200 (and that's for the most basic bundle, which doesn't include a memory card) for the system. What is really needed is a steady stream of high-quality games, like the HD consoles have been receiving the past few years. Almost every month there’s a new big hitter, be it Resident Evil, Dishonored, Borderlands, or even simply FIFA, so there’s unlikely to be a situation where you look at the release schedule and see nothing which interests you. Sadly, this is not the case for the Vita and Sony need to change that. Fast. The easiest way for that to happen is for Sony to really get behind their new system. Drop all support for the PSP and really get some heavy hitters out there. A Ratchet and Clank game, a Gran Turismo game, a Sly Cooper game, and other exclusives could help. There's Gravity Rush and LittleBigPlanet, but these high-quality exclusives are few and far between. Other titles, like the latest Resistance entry, have been poorly received both by reviewers and by consumers, and should act as a lesson that if you try and sell the system as the console experience then you need to make quality titles which reflect that. What about a price cut? After making such a heavy loss, it may be hard to envisage Sony pumping too much money into the Vita early on. But it’s not enough for Sony to be content with the system. You can’t carry a system by yourself, you need the support from your developers and from your consumers. A price cut could easily solve many of the Vita's problems, even if it would hurt Sony's bottom line. A short-term financial loss is sometimes a long-term financial gain, after all. Perhaps cutting the price of the memory cards would be the best idea, or simply including them with each system. A lot of the criticism thrown in the Vita's direction has been related to the memory cards, after all. Suddenly the system cost doesn’t seem quite as high when you haven’t got the cost of a memory card included as well. I’m not saying it’s a fool-proof plan, but it’s certainly a possibility which should be explored (and one which I’m sure will be explored over the Christmas period). In the end, though, Sony have said many times that they’re happy with the sales of the Vita, and only they can decide what they'll do. But it is a shame to see such a capable system, with so much potential, being so poorly handled by the company behind it and struggling to take off. Is the Vita in trouble? I think it is. But Sony can rescue the situation if they really want to. The question is, will they bother? In what is surely the biggest entertainment news of the year, Disney has announced they have purchased LucasFilm Ltd. from George Lucas for $4.05 billion. The deal includes the video game publisher LucasArts, as well as everything LucasFilm owns. This includes the rights to the Star Wars franchise, Industrial Light & Magic, Skywalker Sound, and the rights to Indiana Jones franchise. Also announced was a new Star Wars trilogy, starting with Episode 7 coming out in 2015. "For the past 35 years, one of my greatest pleasures has been to see Star Wars passed from one generation to the next," George Lucas said in the announcement. "It's now time for me to pass Star Wars on to a new generation of filmmakers. I've always believed that Star Wars could live beyond me, and I thought it was important to set up the transition during my lifetime." "This transaction combines a world-class portfolio of content including Star Wars, one of the greatest family entertainment franchises of all time, with Disney's unique and unparalleled creativity across multiple platforms, business, and markets to generate sustained growth and drive significant long-term value," Disney CEO Robert Iger said in a statement. Disney has for a while now been shrinking its interactive division to mainly just a social gaming company. While LucasArts is currently focusing on Star Wars 1313. The game is a much darker take on the Star Wars universe, in which players take control of a bounty hunter exploring the Coruscant underworld. Disney CEO did say the following about LucasArts: "We're likely to focus more on social and mobile than we are on console. We'll look opportunistically at console, most likely in licensing rather than publishing, but we think that given the nature of these characters and how well known they are, and the storytelling, that they lend themselves quite nicely, as they've already demonstrated to the other platforms." Electronic Arts has announced its preliminary financial results for its second quarter, which ended September 30, 2012. The publisher saw revenue of $1.08 billion, a slight increase over the $1.03 billion in revenue during the same period a year ago. EA saw losses of $381 million, which is up from $340 million in losses last year. "EA is performing well, once again beating street consensus in fiscal Q2," said Chief Executive Officer John Riccitiello. "We delivered yet another quarter of sharp digital growth, with digital revenue up 40% compared to the same period last year, reflecting our strength across multiple brands and channels." "Record numbers of players have engaged in the online features and content downloads for FIFA 13, Madden NFL 13, and Battlefield," said EA President Frank Gibeau. "On the strength of our digital extensions, FIFA and Battlefield are the two biggest revenue events in our company's history. Both are well on their way to becoming billion dollar annual franchises." EA announced that strong sales from its sports titles and the increase in the digital market helped the publisher meet its expectations for the quarter. FIFA 13 managed to sell 7.4 million units in just four weeks, while Madden NFL 13 sales increased by nine percent compared to Madden NFL 12. Digital sales increased by 40 percent compared to last year, to $324 million. EA also released its outlook for its third quarter, which includes the holiday period. EA expects revenue to be between $1.25 billion and $1.35 billion, which is down slightly compared to what analysts are expecting, $1.39 billion. During the investor conference call, EA CEO John Riccitiello said that the lower than expected sales in Medal of Honor: Warfighter have hindered the companies expectations for the third quarter. Capcom reported operating income of 6.5 billion yen ($81.6 million) for the first half of its fiscal 2013 (April 1 through September 30), up 134.2 percent from last year. Overall, Capcom claimed that "sales and income for this 6 months period broke the record at all levels for the first half." The success is attributed to two games which have done better in sales than in reviews, one being Resident Evil 6, of which Capcom had already shipped 3.7 million units to retailers by the end of the half, in advance of its October release date. Yes, one of the best-selling games of the period, from Capcom's perspective, had not yet been released during the period. That's why we're always clear to identify "shipped" versus "sold," if you're playing along at home. The other big seller is Dragon's Dogma, which became a million seller in Capcom's "more profitable domestic market" of Japan despite less success outside of Japan. Capcom's social games, including a Monster Hunter card game, Resident Evil Outbreak Survive, and the Beeline games The Smurfs' Village and Snoopy's Street Fair also contributed. Resident Evil 6, Dragon's Dogma propel Capcom to record first half of fiscal 2013 originally appeared on Joystiq on Wed, 31 Oct 2012 11:00:00 EST. Please see our terms for use of feeds. Gearbox is spooking things up today by releasing special SHIFT codes for Borderlands 2. 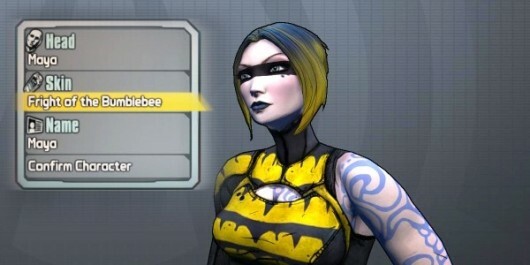 The codes will unlock Halloween-themed character customization skins, including the above buzzy little number for Maya. The giveaway kicks offs at 11AM ET (8AM Pacific, 3PM British) on Gearbox's Twitter and Borderlands' Facebook pages. For extra fun, dress up like the skin you win when you go Halloween-ing tonight. Even though people won't get it, you'll definitely look super cool*. Gearbox releasing special Halloween skin SHIFT codes today for Borderlands 2 originally appeared on Joystiq on Wed, 31 Oct 2012 10:30:00 EST. Please see our terms for use of feeds. The giveaway kicks offs at 11AM ET (8AM Pacific, 3PM British) on Gearbox's Twitter and Borderlands' Facebook pages, and codes will be active until November 5 at 0.55AM ET. For extra fun, dress up like the skin you win when you go Halloween-ing tonight. Even though people won't get it, you'll definitely look super cool*.